This is a write up of Day 10's events in Bates and others v Post Office at the Rolls Building. For the blow-by-blow live tweets, formatted for your easy-reading pleasure, click here. NB All of the words spoken by the participants below are in paraphrase and come from contemporaneous notes. There are no direct quotes without direct quotes. I am awaiting the transcripts of the trial. It is tempting to think there is something of the after-the-Lord-Mayor's-Show about today. We had the high drama of a Post Office director in the witness box for more than eight hours across Monday, Tuesday and Wednesday. Day 10 was kicked off by a former postie whose grasp of the technical responsibilities involved in his hiring or temporary Subpostmasters appeared tenuous, to say the least. Michael Lee Shields seemed like a genuinely well-meaning fella, with an interesting job. For the last three years he's been hiring temporary Subpostmasters to cover for an incumbent who might find themselves unexpectedly suspended without pay. 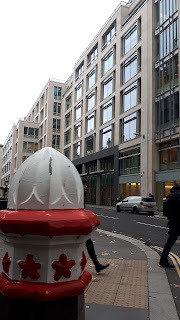 Yesterday it was established he didn't know much about the contractual terms on which temporary Subpostmasters were hired or the differences between the different terms within the different types of contracts which related to the different types of Post Office. Today this apparent lack of knowledge was explored further. Mr Shields has 5 days to find a temporary Subpostmaster ter an incumbent Subpostmaster being suspended. He is judged by that metric. Mr Shields' didn't know that one of the Post Office policy documents demands that a temporary temp be given exclusive access to the counter. He said that wasn't right and wasn't what happened in practice. He also didn't know that if the incumbent and the temp Subpostmaster can't agree a deal then the Post Office might pay the incumbent, suspended Subpostmaster a fee to keep his or her branch open. He also didn't know that a suspended Subpostmaster might be entitled to a proportion of the temp's income as a fee for rent and electricity etc. JFSA Barrister: Were you aware of this [specific fact] when you wrote your witness statement? JFSA Barrister: You’re not aware this now, but you were when you wrote your witness statement? MLS: I don’t know what you mean. JFSA Barrister: Have a look at your witness statement.... just to be clear, so I don’t have it wrong. JFSA Barrister: Do you know [this fact] because it’s in your statement or you know it because you wrote it? MLS: I wrote it. I know it. The point of having Mr Shields in the witness box appeared to be to demonstrate that the Post Office policy with regard to employing temps seemed to be heavily weighted in the Post Office's favour, with Mr Shields admitting that the power to install a temp was largely in the Post Office's hands and entirely on the Post Office's terms. A suspended Subpostmaster effectively had to take the solution presented to them or face the grim alternative of having to close their counter and potentially wreck their retail business. Which the Post Office could decide to do, for any reason, anyway. Mr Shields is now a Contract Advisor with the power to recommend the suspension of Subpostmasters. Next up was Elaine Ridge, a Contracts Advisor. Ms Ridge was disarming and unguarded, admitting there was no way she would have discussed the full contract in her interview with a Subpostmaster (Naushad Abdulla - a lead claimant) as it was "quite a big thing for him to read, I think. It would have put him off straight away!" "Exactly." said Patrick Green, the JFSA QC, with understatement. Mr Green went on to ask Elaine Ridge about the sensitivity within the Post Office about calling Subpostmasters employees. The Post Office has specific instructions for its staff never to call Subpostmasters employees or to talk about their relationship in terms of "employment". Mr Green playfully wondered whether this was because being a Subpostmaster was a lot like being an employee? "Yes." said Ms Ridge, brightly. Then onto the suspension of Mr Abdulla. During his post-suspension interview, Ms Ridge accused Mr Abdulla of false accounting, a criminal offence. Do you know why, asked Mr Green, during this first post-suspension interview, a Subpostmaster is not allowed to bring along a lawyer? Mrs Ridge pointed out that if the Post Office was minded to charge the Subpostmaster with a criminal offence, the Subpostmaster could bring a lawyer to that. Yes, said the QC - but you've already accused him of a criminal offence, and yet he's not allowed to have a lawyer present. Why is that? Elaine Ridge didn't know. It was just the way it is. Even though, asked Mr Green another Post Office team might rely on what Mr Abdulla told her futher down the line? Finally Elaine Ridge was shown a spreadsheet of information which had not bee made available to Mr Abdulla or Ms Ridge at the time of Mr Abdulla's post-suspension interview. The spreadsheet made it clear there had been a least one Post Office error related to a large chunk of money which Mr Abdulla was later held liable for. QC in Mr A’s interview he kept repeating there was something wrong and brought up the £1092 repeatedly. Now this info really would have helped wouldn’t it? QC yes you could have seen this other figure which was erroneous and actually showed there was at least £2K in here which he was being held accountable for which he didn’t really owe! QC but at the time you just had to wing it didn’t you and decide whether to suspend him on what you felt might have happened? This admission contrasts with an exchange at the end of Ms Ridge's stint in the witness box. The judge was very interested in the aforementioned spreadsheet and repeated asked Ms Ridge about it. He concluded by asking her if she was happy with her actions in "exploring the charges against" Mr Abdulla, despite not having the information in the spreadsheet which made it clear at least some of the money he was being held liable for was down to a Post Office mistake. "You don’t think it would be helpful to have the extra document with the extra text in it?" "Thank you." said the judge in conclusion "That’s been very useful." Our last witness of the day was Michael Webb, a gentleman who I would put in his early-to-mid 60s. Mr Webb is a Post Office auditor, and had the easy confidence of a man who had been doing his job a very long time. Kathleen Donnelly, the second of three barristers being used by the JFSA today, took Mr Webb through his witness statement, specifically his recollection of conducting a transfer audit with one of the lead claimants, Mr Sabir. Ms Donnelly was keen to find out how much weight could be given to Mr Webb's statement given he couldn't remember anything about Mr Sabir's audit, other than the fact he was there. As in, Mr Webb could remember being there. He couldn't remember anything about Mr Sabir at all. Now - I don't know about you but I can barely remember what happen two years ago, let alone 12, but I think Ms Donnelly was making the point that whatever Mr Webb said in his witness statement about what he would have done during Mr Sabir's audit was not worth the paper it was written on. "Having done several hundred audits, including transfer audits by 2006, I was very familiar with the documents that needed to be signed. I believe I would have been able to answer most, if not all of the questions myself." Ms Donnelly wanted to explore this: if you were asked what Postal Instructions were, what would you have said? Ms Donnelly asked him about the Subpostmaster Contract. Had he ever read that? The JFSA barristers probably thought they'd had a good day today. 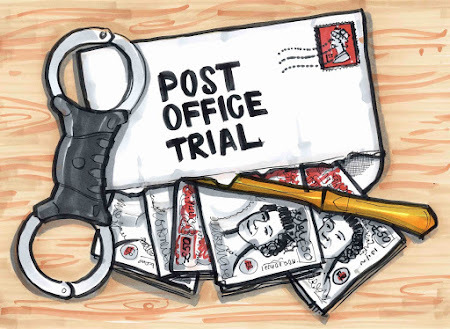 They picked apart the confidently-held recollections of what middle-ranking Post Office staff "would have" done in the cases this trial is examining and exposed them as generalities. They highlighted the sometimes stark difference in Post Office policy to the reality on the ground, often to the considerable potential detriment of the Subpostmaster, and they exposed the vast cultural gaps in understanding that Post Office staff seem to have about the potential consequences their decisions and actions might have. From the opening cross-examinations by the Post Office's QC, aa significant factor in defence of this claim appears to be built on the Post Office's complete lack of responsibility to its Subpostmasters other than those expressed in black-and-white terms, in a contract they may or may not have seen. We're a long way away from finding out who is right. Court is not sitting tomorrow but there will be a blog post, a secret email and several more documents being published. The final scheduled day of Post Office witness re-examination is next Monday 26 November.